What is the direction of the magnetic field that produces the magnetic force on a positive charge as shown in each of the three cases in the figure below, assuming $B$ is perpendicular to $v$? 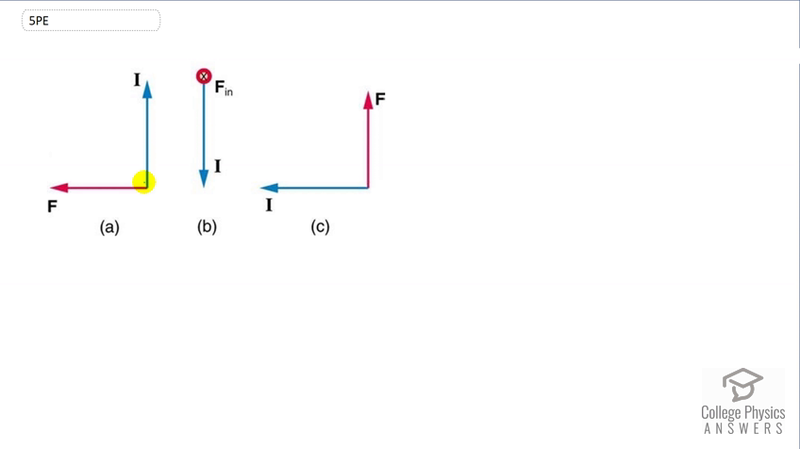 Figure 22.58 Find the magnetic field direction given the force and velocity of a positive charge shown. This is College Physics Answers with Shaun Dychko. We're going to use the Right Hand Rule to determine the direction of the magnetic field lines in each of these three scenarios. Now, this I represents the direction of conventional current which is the movement of positive charges. And so we can directly use the Right Hand Rule to figure out which way the magnetic field lines must be pointing. So our thumb point in the direction of velocity of positive charges and so that's going to be straight up. Our palm faces the direction of the force. And our fingers are you can think of are mini fingers that are going to be aligned in the direction of the mini field lines of magnetic field. And that is into the page. And so we can draw exes here to represent magnetic field into the page. In part b, we have our thumb pointing down. Our palm is in the direction of the force which is into the page because this x represents an arrow going away from you because you just see the tail feathers of the arrow moving away from you into the page. And so our palm is facing flat against the page, thumb is down and our fingers of our right hand are pointing to the left. And so we draw an arrow to the left, that's the direction of magnetic field. If you're not getting the same answers, make sure you're using your right hand because it's a common mistake in the use of the left hand. So, in part c, we have our thumb pointing to the left, our palm is facing upwards and our fingers are pointing out of the page. And so we draw dots to represent an arrow head coming towards you. This magnetic field line is coming out of the page. What would happen if the charge was negative?